See an entirely new side of Berlin and its countryside with this relaxing 3.5-hour cruise down the Havel River to Potsdam. 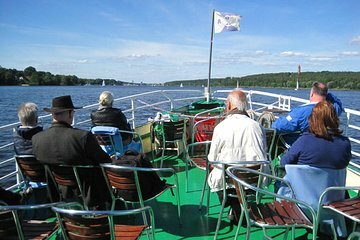 Pass by and through several placid lakes along the way, including Wannsee, Stolpchensee, Gribnitzsee and Jungfernsee. Take in the unspoiled countryside and relax before heading back to buzzing, bustling Berlin. A great tour for families!